Everyone knows the name, look, and legacy of the Toyota Prius. 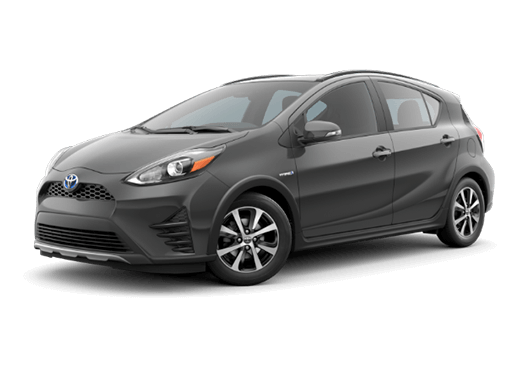 One of the pioneers of the hybrid segment, the Prius has been a top contender for many years, and the same can be said for its smaller sibling, the Prius c.
Just as stylish as it is compact, the 2019 Toyota Prius c is an excellent candidate for a wide variety of needs and lifestyles. Moreover, the interior of the Prius c is modern, comfortable, and surprisingly spacious. 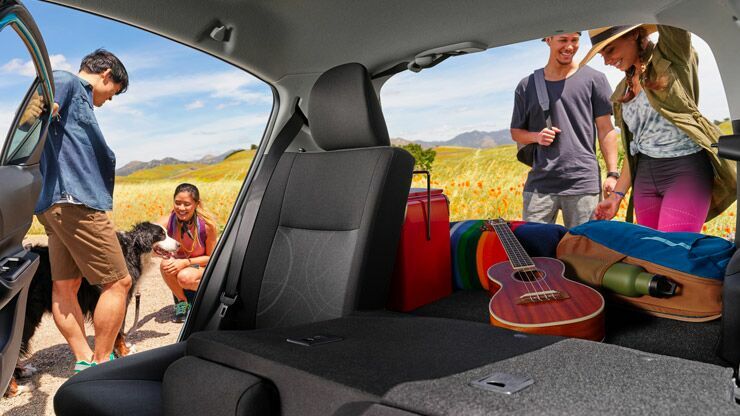 With 87.4 cubic feet of passenger volume at its disposal, the Prius c can comfortably seat up to four adult passengers. Not only can the Prius c fit your friends and family, but it can also accommodate their luggage, gear, etc. With more than 17 cubic feet of cargo space, this compact hatchback can pack plenty of stuff behind its second-row seats. 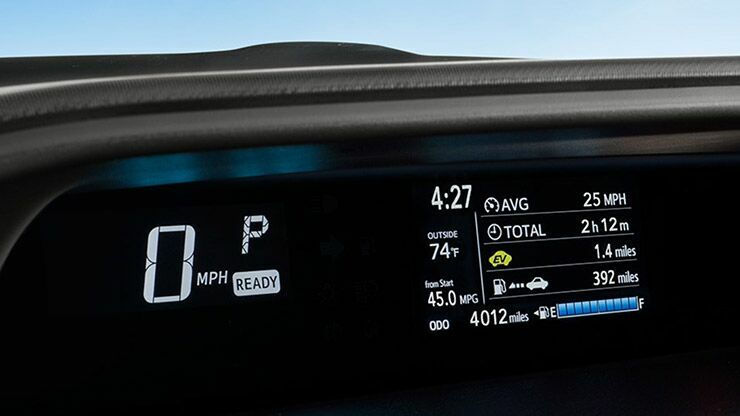 As you get where you need to go, you will know that your Prius C is earning impressive fuel economy ratings. 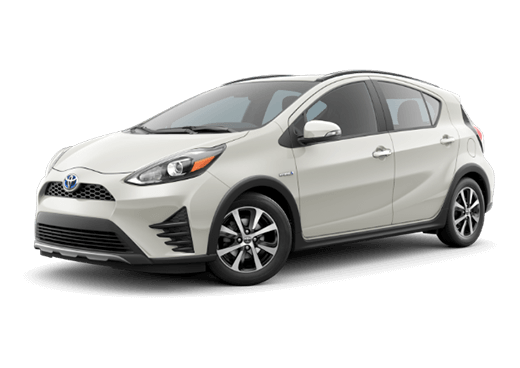 According to the estimates of the EPA, all models of the 2019 Toyota Prius c earn up to 48 mpg in the city, 43 mpg on the highway, and 46 mpg on combined roads. Simply put, you’ll be spending less time fueling up and more time on the road. 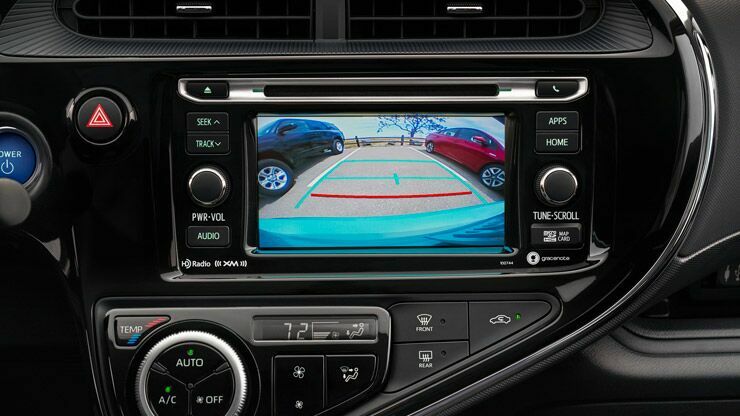 Standard in all models of the 2019 Toyota Prius c, prospective customers are sure to appreciate Lane Departure Alert, Pre-Collision System with Pedestrian Detection, Automatic High Beams, a touchscreen interface with Entune ™ Audio, Bluetooth®, a backup camera, and so much more. For those who crave even more technology, available features in the 2019 Prius c include a navigation system, an upgraded touchscreen interface, keyless entry, push-button start, satellite radio, and advanced voice recognition.